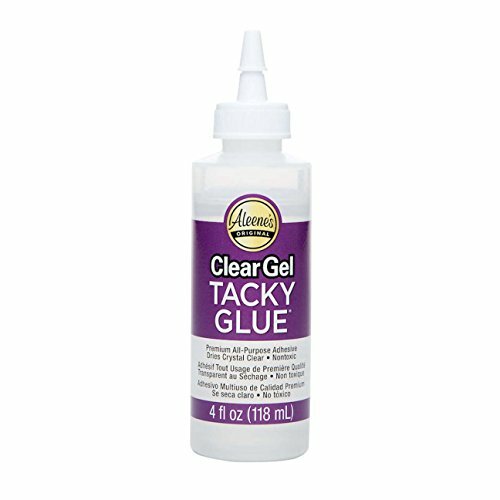 Stick With Me: What is the Best Craft Glue for Your Projects? There is nothing wrong with industrial strength adhesive in and of itself, but unless it’s marketed to crafters and hobbyists you might find yourself in a, well, a “sticky situation” LOL. 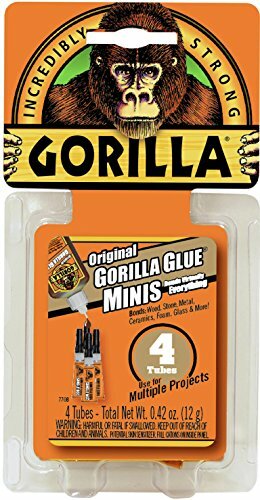 Let’s take a good look at a few of the products I use with ease and confidence and why I feel them to be the best craft adhesive products out there! Even though it comes out white and dries clear on the other varieties too, I like being able to see my materials and not the glue sometimes :). I was making a mixed-media art piece and wanted to be able to apply a nice generous ribbon to one area and not be forever squirting drop by drop. I’m overall happy with this clear formula but can’t believe I went through half a bottle for a small 11 by 14 picture? Whenever I’ve been too stingy with craft glue, it just meant I’d have a few do-overs before me. If you’re wanting to give some bling to an item that will not be getting washed, say, like a handbag, belt or pair of canvas sneakers, it’s a great choice. 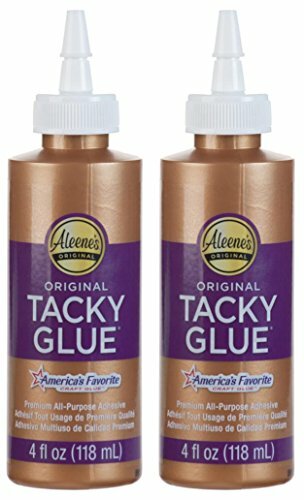 Also there is hardly any offensive odor to any of Aleene’s glues. 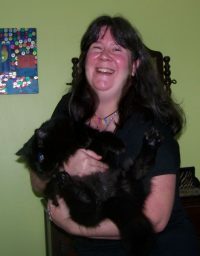 I washed my blinged-up tshirt from earlier -even turning it inside out – and I did find a rhinestone or two had come off. So I can’t say it has definitely passed that test. You can find Aleene’s in many varieties to fit your crafting needs whatever medium you fancy, or combination of them. I picked up a bottle of this when I ran out of my favorite (see the next section) and I will gladly tell you, you won’t be disappointed! Although advertised for home repairs, it’s great for crafts especially those that involve hard nonporous objects. One important tip and that is that you have to slightly dampen the surface you are working on before glueing if you get the “original formula” I thought I needed to do that for the “Clear” but then found out differently. It is solvent based so if you get it on your skin you may have to use rubbing alcohol to clean it off. I myself have had no skin irritation; it’s just annoying. Also it doesn’t appear to have much odor to it, if any (don’t worry, I’m not a glue-sniffer! LOL) So if noxious fumes have put you off buying craft glue this is something to consider! 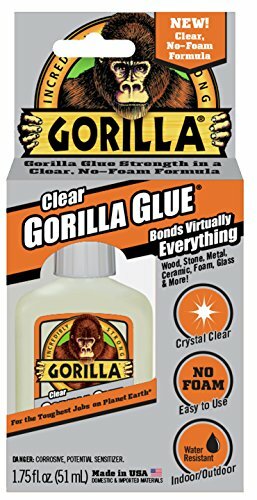 Gorilla Glue has several different types available…Click here to see the type I use for crafting! 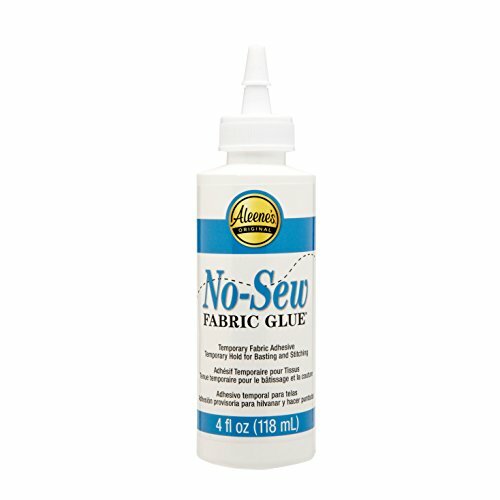 And she wasn’t wrong about that by a long shot…it really is the best craft adhesive out there if it is important for your projects to be permanently bonded. A must-have if you like to make things like handmade snow and glitter globes because it is water-resistant upon full curation. And once that happens, it hangs on for dear life! It’s essential for crafts that involve hard, nonporous items, such as sequins, beads, flatbed rhinestones, mini mirrors, polymer craft clay items, what have you, to bond to other nonporous surfaces. Being industrial strength, it does have somewhat of an odor to it, which is par for the course, I suppose. If there is one negative to point out, it has a tendency to ooze out of the tube unless you re-cap it back on the double. There is also a skinny, “precision tip” design applicator out now, it will still ooze if you don’t recap it right away, but not as much. 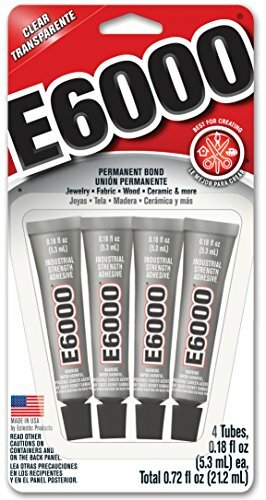 I love my E6000 Glue…What more can I say? This stuff ROCKS! 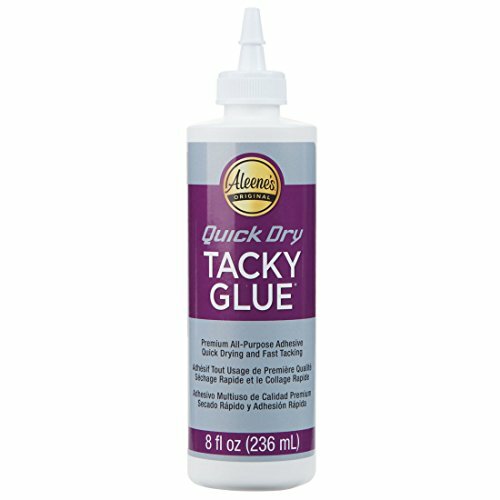 In all my years of glueing I have found these to be the most dependable brands. They are also affordable and versatile. The above brands are mainly for non porous materials. Bond beads, sequins, gems, buttons, and many more bric-a-brac like this – with confidence. Aleene’s is pretty much nontoxic but the other two are solvent based so take a few precautions here and there.